Chris Spatola is currently a college basketball analyst for ESPN and a host on Sirius/XM radio. A graduate of the United States Military Academy in West Point, N.Y., Spatola was a four-year starter on the basketball team from 1999-2002. He was named to the All-Patriot League Team in 2001 and 2002, as well as the All-Freshman team in 1999. He is the Academy’s sixth all-time leading scorer with 1,543 career points and ranks 15th in Patriot League history. In addition to being the school’s all-time leading free-throw shooter, Spatola led the team in scoring for three straight seasons from 2000-2002 and was the leading scorer in the Patriot League in 2001 and 2002. Serving as a team captain in his senior season, he played in 111 career games to rank third all-time at West Point. After graduating in 2002 with a degree in English and a minor in environmental engineering, Spatola was commissioned an officer in the United States Army. He served as a graduate assistant coach with the Army men’s basketball team for the 2002-2003 season, and was a standout player on the All-Army and All-Armed Forces basketball teams in 2003, prior to serving five years of active service in the Army. During his active time he served as a Company Commander and Executive Officer, among other duties. After being promoted to the rank of captain, Spatola was awarded the Joint Service Commendation Medal for exceptional combat performance during a deployment in support of Operation Iraqi Freedom, and the Army Commendation Medal for outstanding performance as a Company Commander. 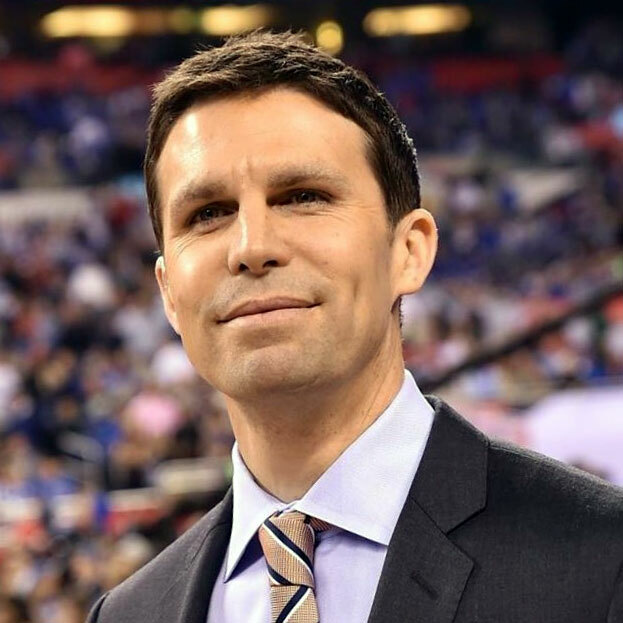 Upon leaving the Army, Spatola was hired by Mike Krzyzewski and was a member the Duke Men’s Basketball coaching staff from 2007-2012, a span that saw the Blue Devils win four ACC tournament titles and a National Championship (2010). Also active with USA Basketball, Spatola served as a court coach for the Men’s National Team that won gold in the 2008 Olympics in Beijing, China and gold in the 2010 World Championships in Istanbul, Turkey. In addition to his media work, Spatola also serves as the director of the Mike Krzyzewski Basketball Camp, serves on the board of The Caring House (a non-profit boarding home in Durham, NC for cancer patients and their caregivers), and speaks regularly to community organizations, clinics, and colleges about leadership, his time in the Army and in the game of basketball.